Looking for Immunization Training? UMKC School of Pharmacy is hosting APhA's Pharmacy-Based Immunization Delivery program on Saturday, April 27, 2019 in Kansas City. For questions about this program, please contact: Cameron C. Lindsey, PharmD, MPH, BC-ADM, CDE, BCACP, Course Coordinator, at (816) 235-5909 or lindseyca@umkc.edu or Shana Eisentrager at (816) 235-2403 or eisentragers@umkc.edu. DEADLINE to Sign-up is April 12th, 2019. Space is limited! Click here for additional information. Did you attend the MSHP-ICHP spring meeting March 29-30? To claim your CPE credit and to download the handouts, please refer to the instructions on page 26 of your syllabus. All evaluations must be completed by April 29 to receive CPE credit. Are you attending the KCHP Spring Meeting April 5-6, 2019? To claim your CPE credit and download the handouts, please refer to the instructions on page 2 of your program syllabus. 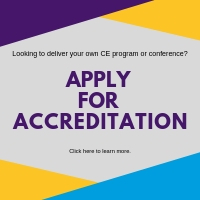 All evaluations must be completed by May 6 to receive CPE credit. Calling all Medication Safety Experts! Do you currently work to improve patient and medication safety practices? We would love to learn from you! The 3rd Annual Midwest Medication Safety Symposium will be held in September 2019 on St. Louis College of Pharmacy's campus. To submit a presentation for consideration, please use the link below to download the form (in Microsoft Word). Proposals must be submitted via email to slamscollaborative@gmail.com no later than April 19, 2019. HIV Drug Therapy 2019 04/09/2019 0.50 N.A. Professional Workshops 04/06/2019 5.00 N.A. CORE ELMS & New Curriculum Review (StLSHP) 01/31/2019 1.00 N.A. Resident Seminar - January 11, 2019 01/11/2019 6.00 N.A. STUDENT INFO - Immunization Training 01/11/2019 0.00 N.A. APhA's Pharmacy-Based Immunization Delivery 01/11/2019 20.00 N.A. Nursing & Pharmacy Perspectives in Heart Failure Management 11/29/2018 2.00 N.A. Discussion with the Doctor: Polycystic ovary syndrome (PCOS) 11/28/2018 1.00 N.A. WEBINAR: A Better Shot at Vaccines: 2018 Immunization Update 11/15/2018 0.50 N.A. Meeting of the Minds 2018 10/02/2018 1.50 N.A. Updates in Cardiovascular Disease 04/19/2018 1.00 N.A. Using Hypertension Guidelines to Develop an MTS Protocol 03/03/2018 7.00 N.A. Using Diabetes Guidelines to Develop an MTS Protocol 02/03/2018 7.00 N.A.